Director of the Community Service Learning program at Assumption College in Worcester, Massachusetts, Mike Land has spent his adult life balancing a love of storytelling and a commitment to community service. Born and raised in Tuscaloosa, Alabama, Land grew up in a newspaper family and was writing sports before he graduated from high school. His love of stories, nonfiction and fiction, propelled him through a first career in newspaper journalism, a masters and doctorate in creative writing at the University of Missouri-Columbia, and his current position teaching creative writing, journalism, film and literature at Assumption. 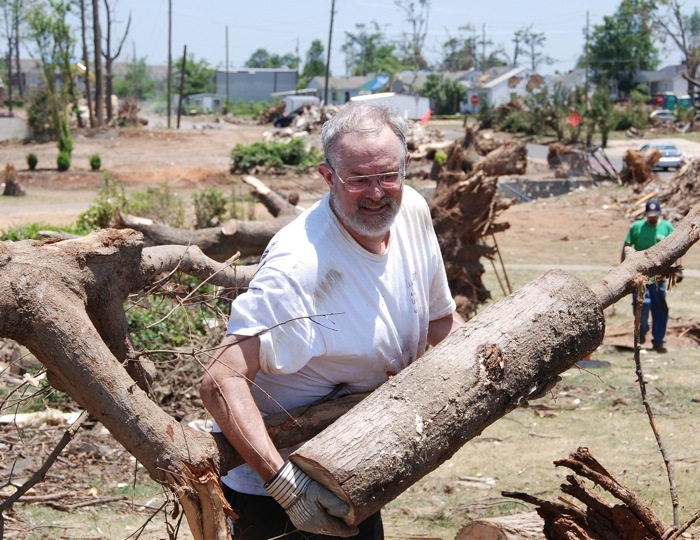 But at the same time, he worked as a youth director in a Presbyterian mission program, helped found a Habitat for Humanity affiliate, volunteered at a wide variety of agencies, and made community service a key feature in almost every course he teaches. Recent writing publications have included pieces in Brevity, Iron Horse Review, The Chronicle of Higher Education, and The Bark: The Modern Dog Culture.